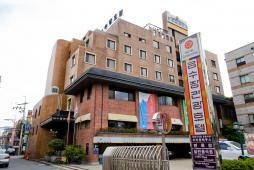 one star hotel located opposite to former Gwangju city hall! Geumsoojang Tourist Hotel is a 6-story and 1 basement three-star accommodation located across the former Gwangju City Hall building. Gwangju train station is 15 minutes walk away and it takes 7 minutes by taxi to reach the city shopping area. Elegant and neat guestrooms available in two room types, diverse amenities and excellence service are all available for economic prices. There is even a business center in the lobby with Internet, fax and copy services. The delicious hotel restaurants, bars add convenience while a famous tourist restaurant "Arirang House" is particularly recommended. It is a popular dining location handpicked by local residents.